If your room could smile, this accent pillow’s energy-filled design would do the trick. 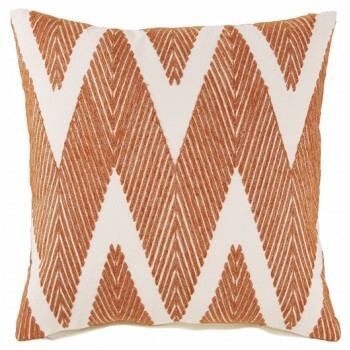 Chevron pattern is elevated with orange embroidery. It’s snazzy and textured, making it the perfect addition to your home.